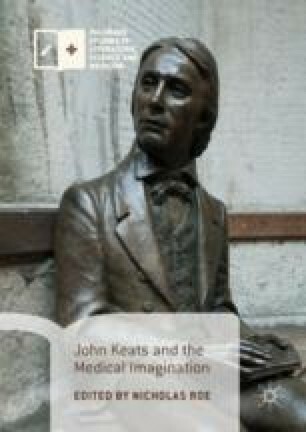 Keats makes few explicit allusions to surveillance, but they are memorable, queasily attuned to asymmetries of power. Think of Porphyro’s unsuspected eye in the closet as Madeline disrobes in her bedchamber, or the ‘sly’ conspiring vision of Isabella’s brothers, or Lamia reconnoitering the nymph’s ‘secret bed’ before turning informant to Hermes. This chapter began as a lecture on Romanticism and technoethics given with Anne Marggraf-Turley at the 30th Chaos Communication Congress (30C3), Hamburg, Germany. I wish to thank Hannah Dee for her help with computer vision. I am also grateful to Damian Walford Davies, and to Nicholas Roe, John Barnard and Ken Page for their co-sleuthing of Keats’s when-and-whereabouts during Hunt’s procession, and for their advice about the missing letters sent from Lombard Street. Koskela, Hille, ‘“Cam Era”: The Contemporary Urban Panopticon’, Surveillance & Society, 1 (2003), at http://www.surveillance-and-society.org/articles1(3)/camera.pdf. Negishi, Kaima, ‘From Surveillant Text to Surveilling Device: The Face in Urban Transit Spaces’, Surveillance and Society, 11.3 (2013), at http://library.queensu.ca/ojs/index.php/surveillance-and-society/article/view/face/face. Paglen, Trevor, ‘Interview’, Center for the Study of the Drone, at http://dronecenter.bard.edu/interview-trevor-paglen/. Wikipedia Contributors, ‘Global Language Monitor’, Wikipedia, The Free Encyclopedia, 21 February 2017, 14:58 UTC, at https://en.wikipedia.org/w/index.php?title=Global_Language_Monitor&oldid=766681091 [accessed 22 March 2017]. A Catalogue of Books in the Library of the Physical Society, Guy’s Hospital (1850), 19. King’s College London, at https://archive.org/details/b21300574.